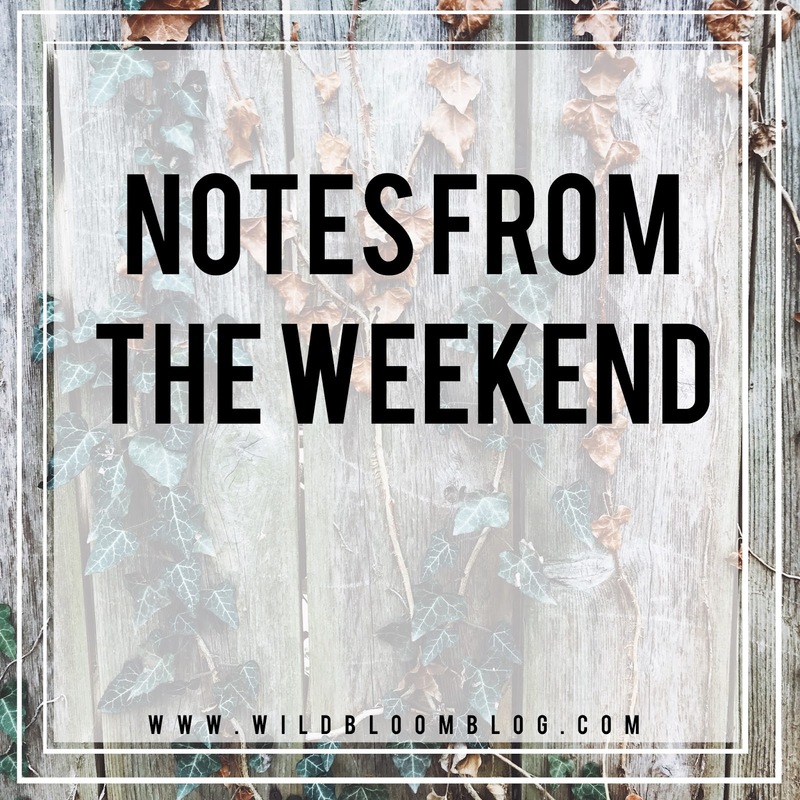 W I L D B L O O M : NOTES FROM THE WEEKEND | volume four. - jackson started saying DADA this weekend! my heart swells ten times when he says it because it's just so CUTE. - jared + i watched the new maze runner movie over the weekend. our very unpopular opinion: it was better than the final hunger games movie. i read all the HG books and loved them. (still do!) i did not read the maze runner series, so i didn't know the story or what was going to happen. i think i may read the series now though. i think when i know what's going to happen, that takes away from the movie just slightly, but i'm still always going to love the book more than the movie. - i had to take off work early on friday because our sitter was sick. although i am swamped at work, it was actually nice to relax for once. jackson doesn't take a nap with me in the evenings, so while he napped during the afternoon, i caught up on this is us. gahhhhhh. that show gives me all the feelings. + i ordered a new bible. i love that the size isn't massive, yet there is enough space to jot down notes. + your smoothie survival kit. i bought a new blender to make baby food, but now i want to make all the smoothies! + if you are looking for a blog that isn't constantly posting "10 tips" + "5 ways", michelle is your girl. she is witty + honest + her writing is just wonderful. + volume two of sunday inspiration is on my instagram hightlights if you want to check it out. or not. it's whatevs. + i am loving the new podcast, women's work.